Dorling’s work is well-researched and he uses his skills as a professor of human geography to present a detailed analysis strengthened by numerous graphs and statistics that warrants a careful read. He also correctly points out that rising levels of inequality do not necessarily make life a bed of roses for the wealthy. The rich may voluntarily exclude themselves from the communities in which they live, but the rise of gated housing developments, exclusive clubs and increased security measures is also indicative of unease, of a fear of crime that rising inequality can foster. 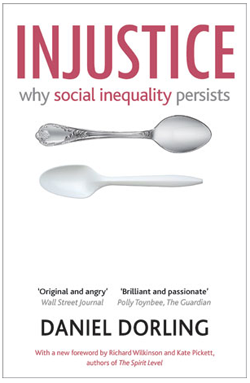 Injustice complements other anti-consumerist, anti-consumption books such as Richard Wilkinson and Kate Pickett’s The Spirit level and Oliver James’ Affluenza (according to James, materialism has led to a form of social pathology – affluenza). One counter to such arguments is Daniel Ben-Ami’s pro-economic growth book Ferraris For All. Ben-Ami and Dorling will be debating the issue at the Manchester Salon public discussion entitled 'Inequality: Why the big issue?' on Tuesday 26th February. I do not wish to detail the tensions between them here and would encourage readers to either attend the Salon or to read their respective books. What I want to highlight here is aspects of Injustice that betray a form of the elitist thinking that Dorling otherwise portrays himself as being against. Dorling’s Injustice presents itself as an attack on elitism, but in so doing he reveals some contemporary prejudices of his own, revealing an underlying tone that could be construed as anti-human. For example, in an imagined future land where for the first time human numbers have declined not through pandemic, famine or plague but ‘because of what we have become and how we now behave’ (page 87) - neither of which is fully explained, we will apparently see lower levels of sexism, racism, prejudice and bigotry. The implication here seems to be that fewer people equates to fewer problems, which not only has hints of Malthusian thinking, but ignores the fact that many such problems were far more prevalent in the past when the human population was much lower than it is today. The scope of human agency is also undermined. Apparently, it is a particular type of upbringing, regardless of wealth, that leads to racist beliefs and that ‘people can easily be swayed into racist thought, and with a little more persuasion into racist action’ (page 202). According to Dorling, we humans are affected by rising levels of elitism, exclusion, prejudice and greed because people ‘react like rats in cages to having their social environments made progressively more unpleasant’ (page 269). Speak for yourself Daniel. Such a low opinion of the population, something not uncommon to many sections of today’s 'liberal' Left, helps explain the enthusiasm with which the forced resignation of a Harvard President is recounted (he had said that perhaps women’s underrepresentation in academic appointments was due to their innate weakness), but it does not bode well for the free exchange of ideas, even unpalatable ones, that an enlightened education system should be trying to foster. In addition, whilst Dorling correctly details how racist thinking of the ‘white man’s burden’ portrayed the peoples of Africa and Latin America as unable to manage their own affairs, a more critical historical analysis would also have to acknowledge the way the discourse of human rights plays a similar role today - for example, in the debate over homosexuality in Uganda. Of course, that such contemporary calls to educate and punish countries who do not meet Western mores comes from many on the Left poses problems for those who see themselves very much as part of that tradition. Similarly, the chapter on mental health and well-being details some very important trends and influences on the current concern over the mental well-being of the population. However, again, a more critical perspective would acknowledge that the rise in diagnoses of mental illness is influenced by myriad factors, including the changing political landscape. For example, the demise of the working class as a political force saw the focus of trades unions change – unable to make demands on the basis of their members’ collective strength they began to place more emphasis on the individual vulnerability of the workforce; instead of industrial action workers were encouraged to adopt the sick role, and take industrial inaction on account of ‘work stress’. Similarly, the current focus on well-being and happiness that we are being encouraged to embrace is not an outward focused pursuit of happiness through our actions on the external world, but rather serves up a form of therapeutic introspection that aims to make us happy within our existing environment. Injustice is a book that makes a valuable contribution to our understanding of the state of society and social justice in the current period. However, I think it is part of a negative trend whereby we are encouraged to lower our horizons, and ‘start planning for a more frugal future’ (page 298). If it’s a choice between that and Ben-Ami’s desire to see Ferraris For All, I want us all to have the car. This review is to give a flavour of the arguments presented in ‘Injustice’, but such is the scope of the discussion that it is not possible to condense such dialogue into one article. 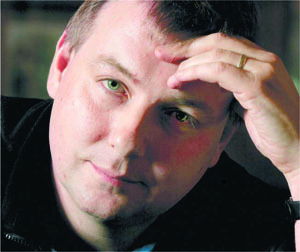 Danny Dorling will be presenting his views for debate at the Manchester Salon entitled 'Inequality: why the big issue?' at the International Anthony Burgess Foundation in Manchester on the 26th February 2013.